Martial Arts Medals for Tom. 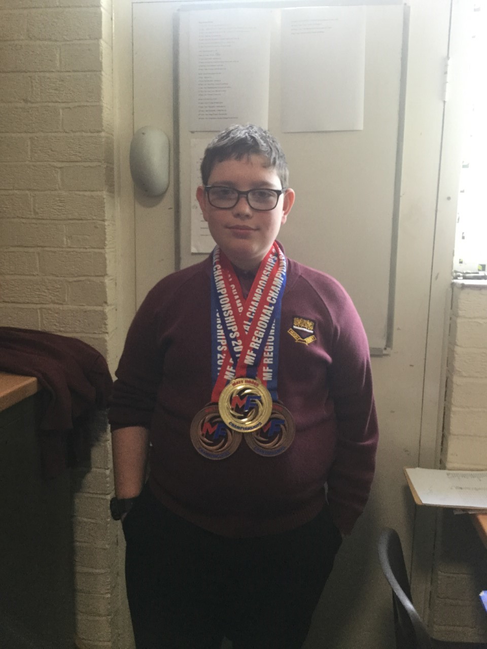 Well done to Tom, 8SK, who picked up 3 medals at the Matt Fiddes Martial Arts South West championship. Tom got a gold for point stop sparring, and bronze medals for hand drills and 10 kick combo.